The Arrowpak is the Colosseum of trade show booth designs with its big size and its big columns, along with its graphics, seating and open space. This display design will utilize every inch of your booth space and satisfy every need you have. If you have this booth design in your space it will draw attendees to your booth from the entrance at your next trade show or conference event. This Sun Edison display really uses the sun as its inspiration. The exhibit display is a bright space that utilizes every inch of your booth space. Sun Edison is the trade show booth for your brands next event. 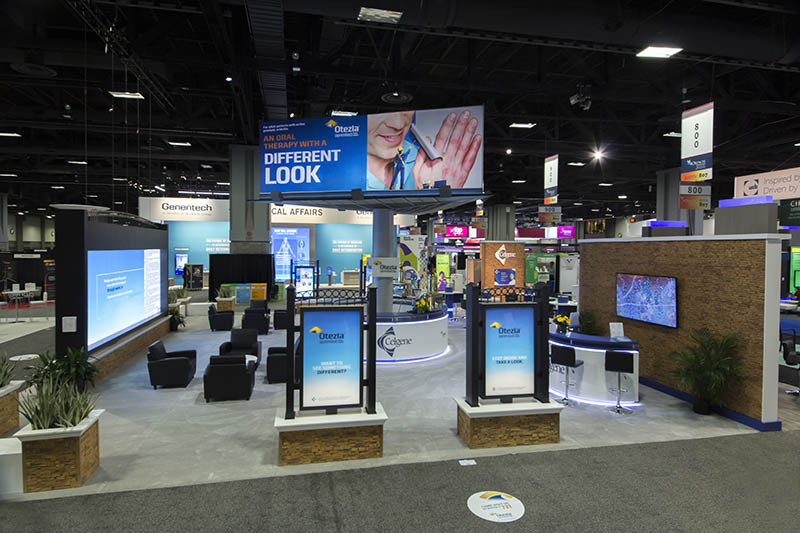 With large graphic areas, visual monitors for the guests, and open space to move around, this large trade show booth display can make any product or brand imagery stand out at the event. This trade show booth display is available for rent or purchase. This Sika trade show booth is the design that satisfies everyone. With its size, modern design, and space to walk around, this booth will allow you to dominate your next trade show event. This 30×30 booth design is available for purchase or rent, just like all of our booth ideas and designs are.